Good Morning Dinks. Can you believe that it’s the last Friday of the year? 2016 has come and gone. Some people had a great year, while others can’t wait to begin 2017. 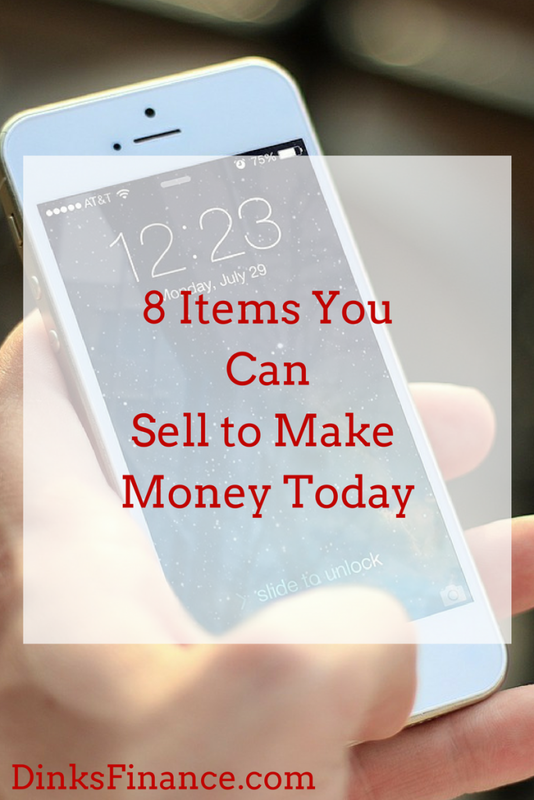 If you want to end 2016 with a bang and try to make a little more money, I have a post that features eight items that you can sell. Earning some extra money that you can share with your wife or husband is an excellent way to end the year. Keep reading to find out what the eight items are. The first thing that you can sell to make money is your services. Do you have a cleaning company? Are you great with Photoshop or Gimp? If the answer to those questions is yes, then you can be on your way to be getting paid. A lot of people need help with those things. You can be their savior. People like to buy old cell phones. Some people use them, while others buy them for their parts. Depending on the phone brand and model you could get over $100 for it. A good place to sell your old phone is on eBay. You can get hundreds of dollars for old Apple phones. Books are another item that you can sell. Depending on the title, they can be sold for pretty good amounts. I’ve noticed that you make more money by selling books in groups or sets. Making money by selling books does take a little bit of research, though. You need to know what books are popular at the moment. Selling shoes can make you some decent money. Dress shoes and tennis shoes are two types that you can sell for decent prices. Brands that sell pretty good are Nike, Adidas, and New Balance. Before you sell them, you should check eBay. They have a sold listings feature where you can see how much similar types of shoes have sold for. Selling old video games is the next thing on the list. People love their video games. I’m sure there is someone that will buy them from you. You can sell them on eBay or in Facebook groups. Jewelry is another thing that you can sell to make money. Gold necklaces, chains, and rings will always sell for a decent amount. Besides selling your jewelry online, you can also pawn it. I’ve pawned jewelry in the past and got a decent sum of money for it. Clothes are the final item on the list. Certain name brands sell for a higher price than others. Pants, jackets and certain brands of shirts sell pretty well too. When selling, make sure that you list the correct sizes and measurements. If not, you may have to give people refunds. They also have those Eco-ATMs where you can get a little cash for even some really old cell phones.